We’re almost there, folks! 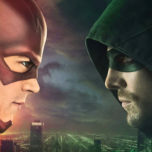 Tomorrow, The CW will begin airing The Flash Season 2, and there’s a lot to look forward to. Jay Garrick and Earth 2, more of Cisco Ramon’s mysterious powers, the demonic speedster Zoom, new CCPD detective Patty Spivot, set up for Legends of Tomorrow and more. Of course, as we all know, these stories are all based on existing source material, meaning that fans of the show can always look to the comics to expand their knowledge on all things Flash. 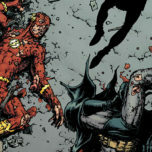 Last season, stories like The Flash: Rebirth and Flashpoint gave clues as to what would happen over the course of the first 23 episodes, and the same will be true this season. 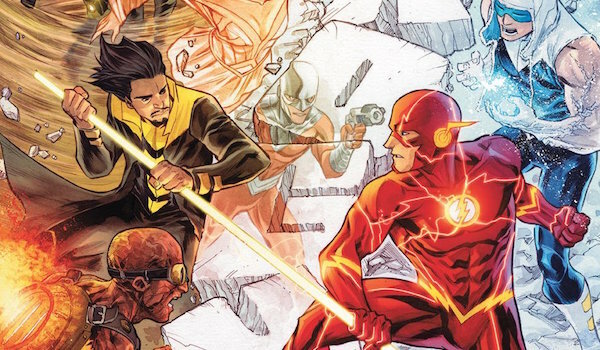 Taking what’s been announced and shown in the previews so far, these are the stories we suggest Flash fans should read for The Flash Season 2, whether it’s in the next couple weeks or later on in the Fastest Man Alive’s sophomore outing. Not only will they help you learn about some of the new characters, but they may also foreshadow what’s to come. 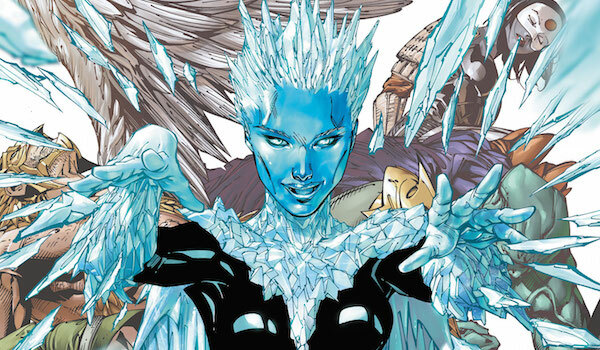 There have been several Killer Frosts in the comics, but the Caitlin Snow iteration has only existed for the past two years. Danielle Panabaker will eventually play Killer Frost on The Flash, though it remains to be seen whether it will be our Caitlin (a.k.a. the one from the main universe) that turns evil or a Caitlin from another timeline/universe. Regardless, if you want to learn how Caitlin became the new Killer Frost in the comics and get a sense of what type of bad guy she is, read the Killer Frost one-shot issue from DC’s Villains Month back in 2013. You may be able to find in a back issue bin at your local comic book store, but are probably better off buying online. If you like that issue, you should also check out her appearances in the miniseries Forever Evil: A.R.G.U.S. Despite the names of these collections, I’m not asking you to read these to learn more about The Rogues or Gorilla Grodd (though those are bonuses). No, oddly enough, these volumes are meant to highlight Patty Spivot, who will be Barry’s new love interest in Season 2. Although Patty did appear in a few pre-New 52 stories, it’s after the New 52 kicked off when she was really able to shine. In Rogues Revolution, we spend part of the volume following her to South America where she’s trying to figure out who really killed Weather Wizard’s brother Claudio. In Gorilla Warfare, we see her take charge during Gorilla Grodd’s invasion of Central City and help Barry and his allies stop the threat. These are great stories to read if you want to see Patty serving in a strong capacity rather than be related to the sidelines. Just remember that in the comics she is a blood analyst rather than a cop serving out in the field, so she won’t be exactly like TV’s Patty. 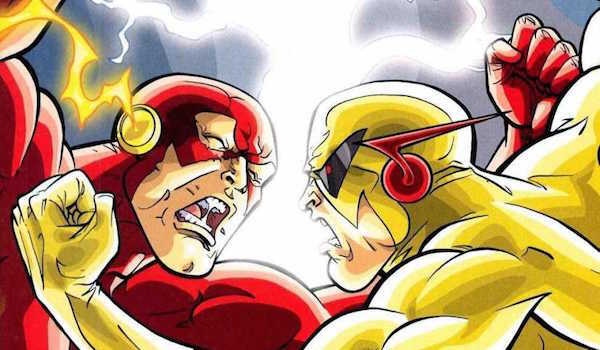 There’s about to be more than one Scarlet Speedster on The Flash. Jay Garrick is on the way, and like his Silver Age and New 52 iterations, he hails from Earth 2. 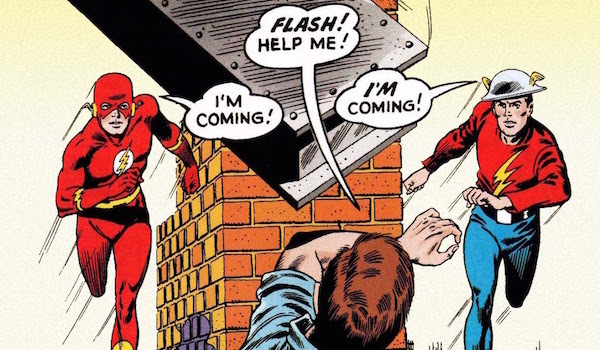 So what better way to prepare for this first meeting on the series then reading their first comic story together: 1961’s The Flash #123, a.k.a. Flash of Two Worlds. This is more than just a team up between the Golden Age and Silver Age Flashes; this is the issue that introduced the multiverse into DC lore, which allowed for multiple versions of the same characters to exist across countless universes. It’s kind of a big deal! Physical copies of this issue (whether they’re originals or reprints) are hard to come by, so you’ll have better luck reading it digitally or as part of the recent collection The Flash: A Celebration of 75 Years. As revealed in The Flash Season 1 finale, Cisco Ramon has a larger destiny ahead of him in The Flash Season 2 and beyond as Vibe. Although Vibe has been in the comics since 1984, he spent most of that time largely a D-list character that was most well known as a member of the Justice League Detroit. 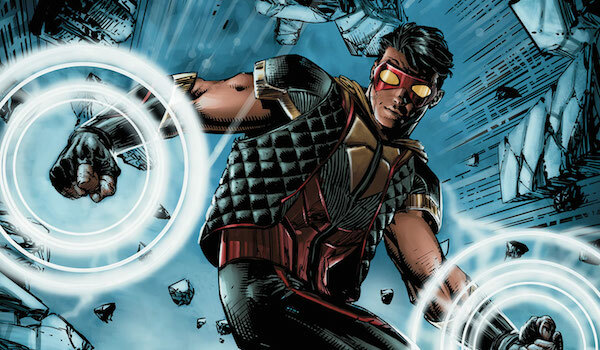 In the New 52, he was spotlighted in the Justice League of America series and, more importantly, his own book! This trade paperback collects the complete Vibe run started by Geoff Johns and taken over by Sterling Gates. Over the course of 10 issues, you’ll see how comic book Cisco gained his powers, his first adventures as a superhero in Detroit and much more. 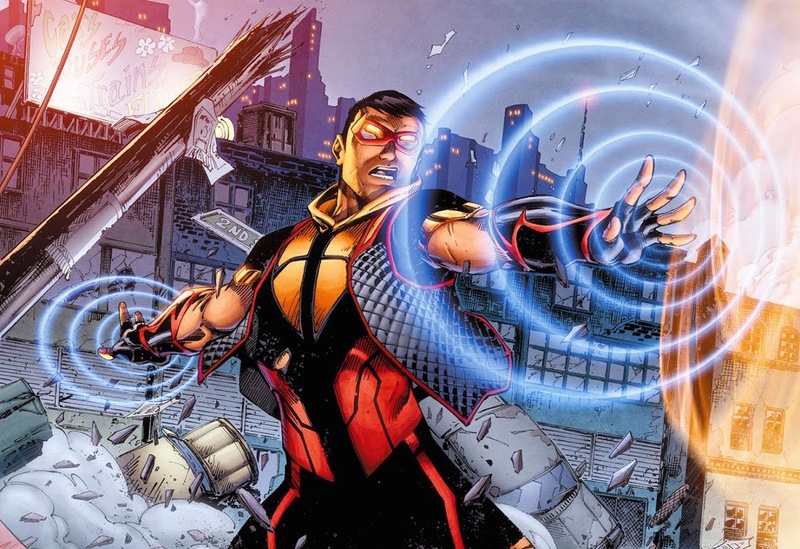 Vibe has been sidelined again following the events of Forever Evil, but this is definitely the story to read to prepare for Cisco’s inevitable transformation into Vibe on the TV series. The main antagonist for The Flash Season 2 is Zoom, who will be voiced by Tony Todd. However, the show hasn’t announced the identity of the TV show’s Zoom, so it may not be Hunter Zolomon like it is in the comics. However, let’s assume in the meantime that we are getting a version of Hunter on the show. If you want to get a sense of what this particular Flash villain is like, the Blitz storyline is the best place to turn to. 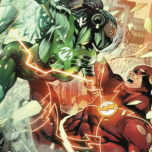 It’s in these issues when Hunter reveals himself as Zoom to Wally West and tries to turn his life upside down in order to make him a better hero. From Hunter’s perspective, the Scarlet Speedster can only achieve true greatness by suffering personal tragedy. 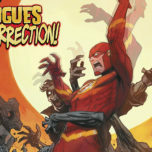 The only problem is that the trade paperback collecting this story has been long out of print, and while DC will start reprinting Geoff Johns’ Flash run in November, it will be a while until the Zoom arc is rereleased. So if you want to read the Blitz storyline, you’ll either need to hunt down an old copy of the collection or search for single issues at your local comic book store or online.